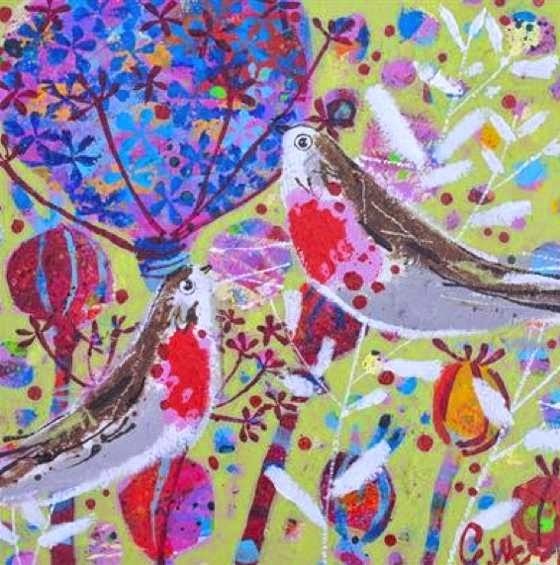 Claire West is a British painter born in 1968, who studied at Humberside University. 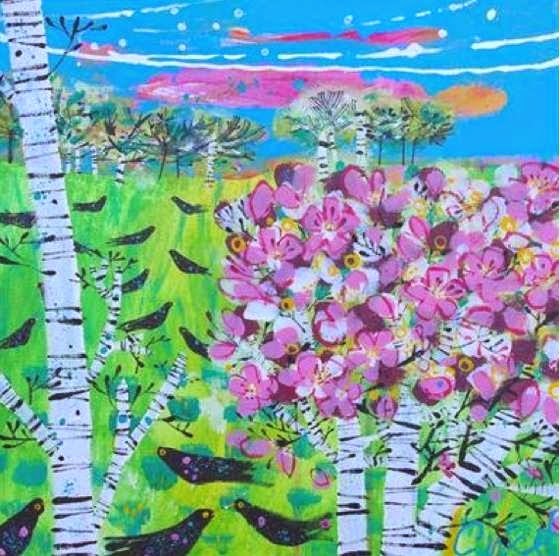 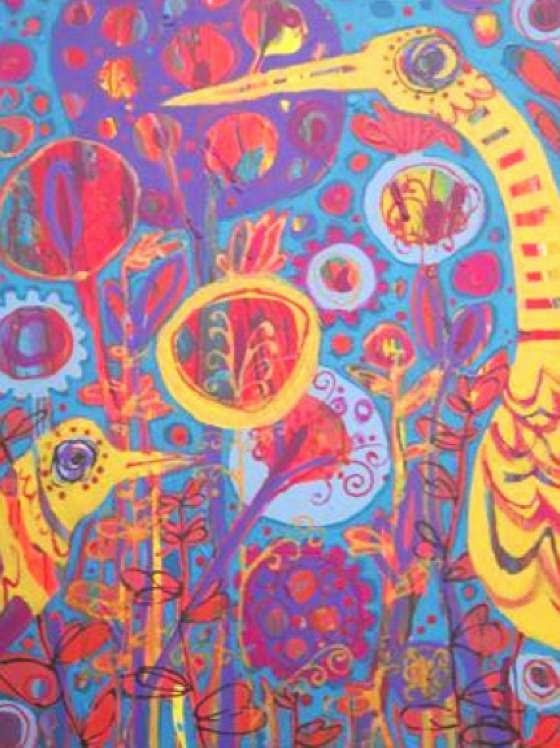 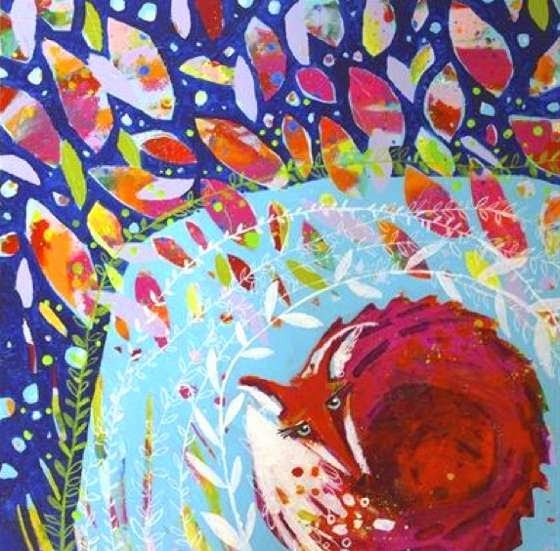 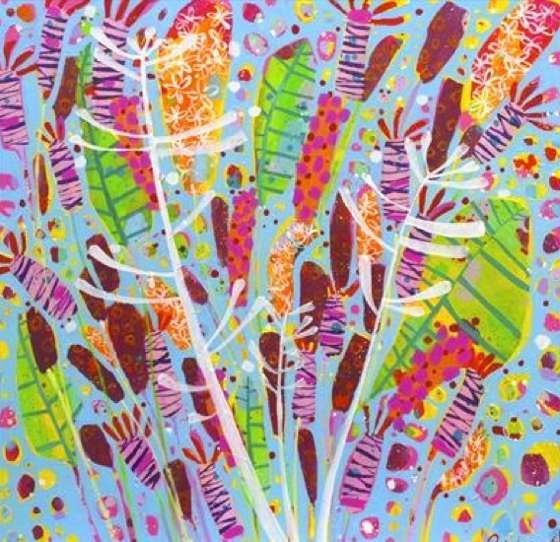 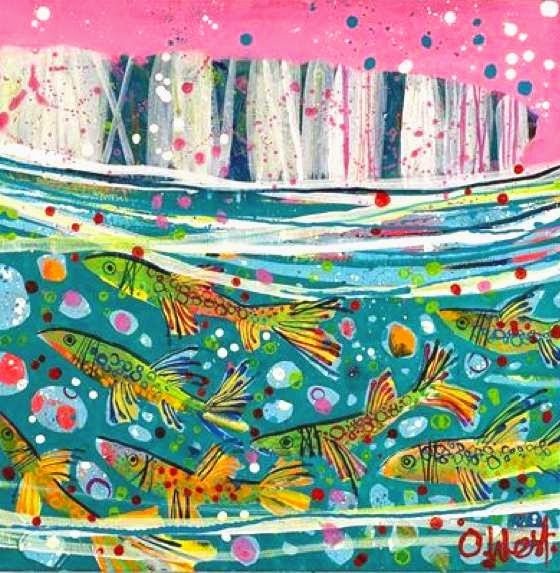 In addition to exhibiting in galleries throughout the UK, Claire holds regular workshops in painting and printmaking for groups of all ages and abilities. 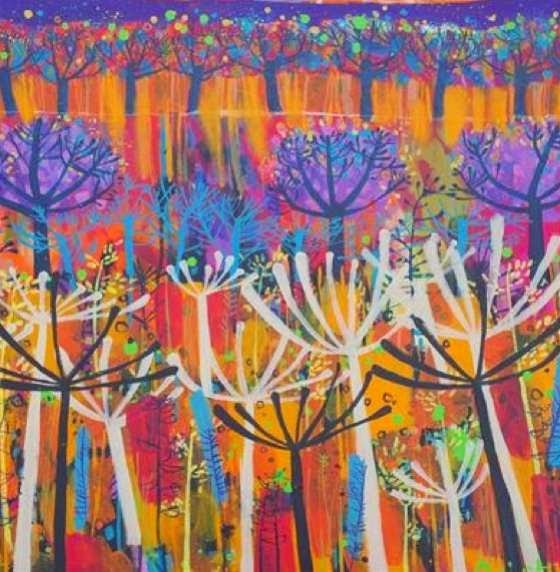 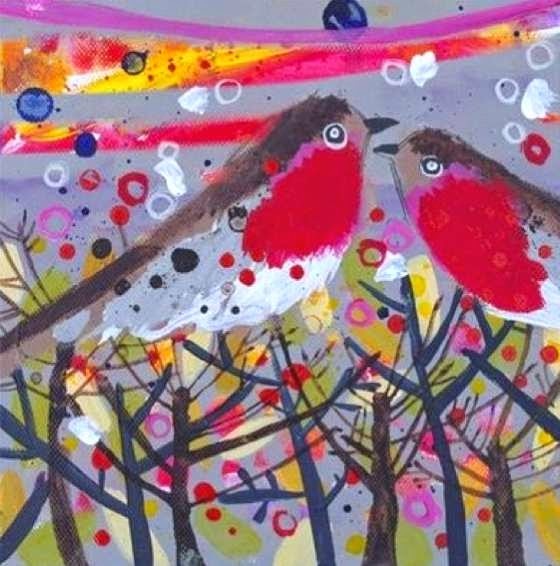 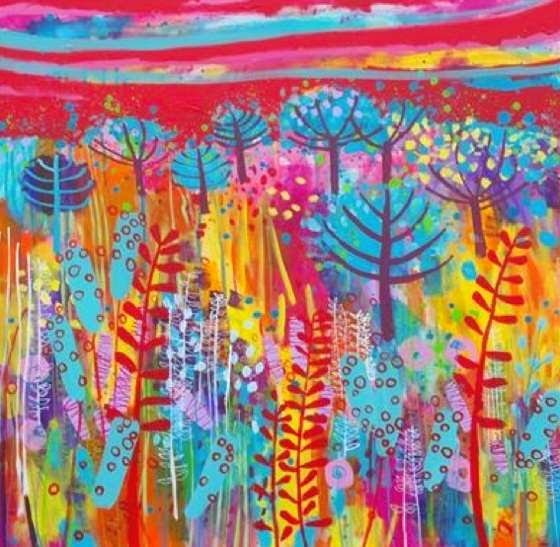 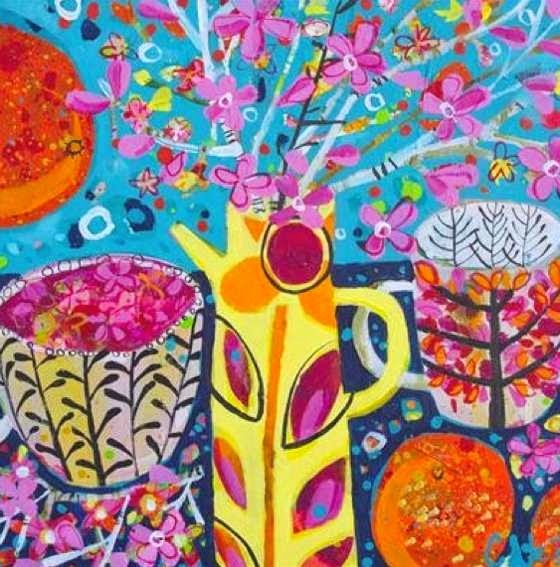 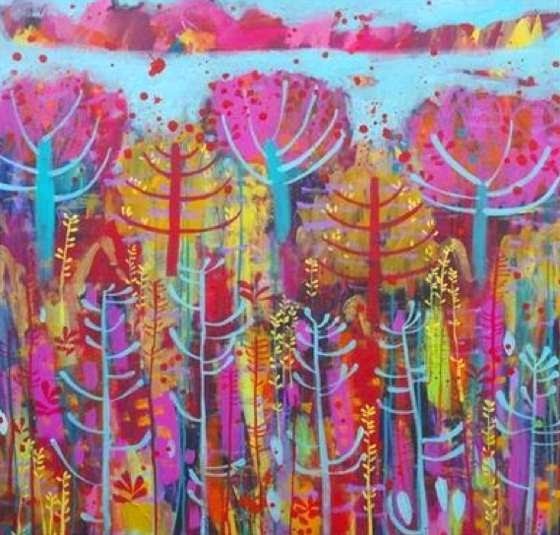 She paints mainly in acrylics and mixed media. 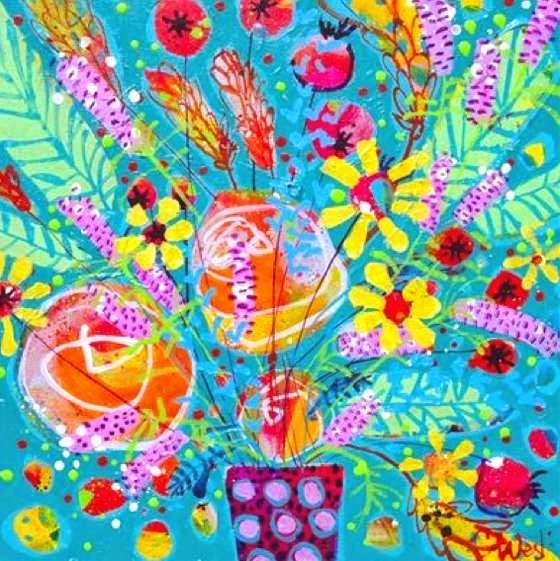 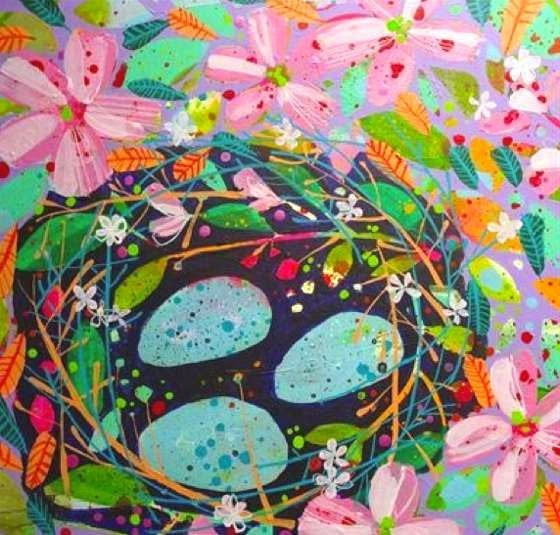 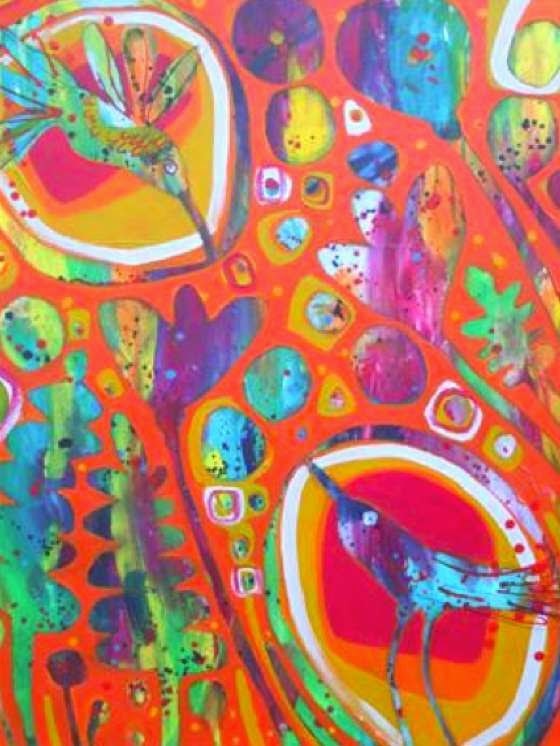 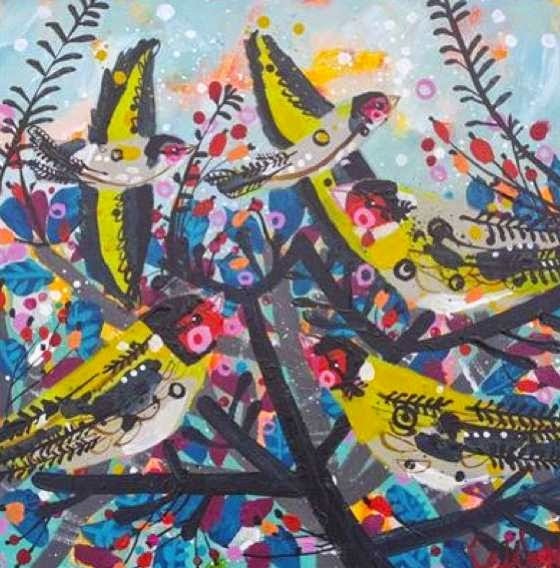 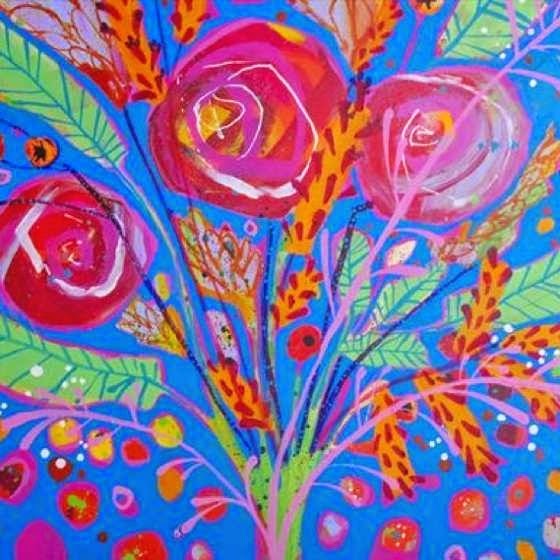 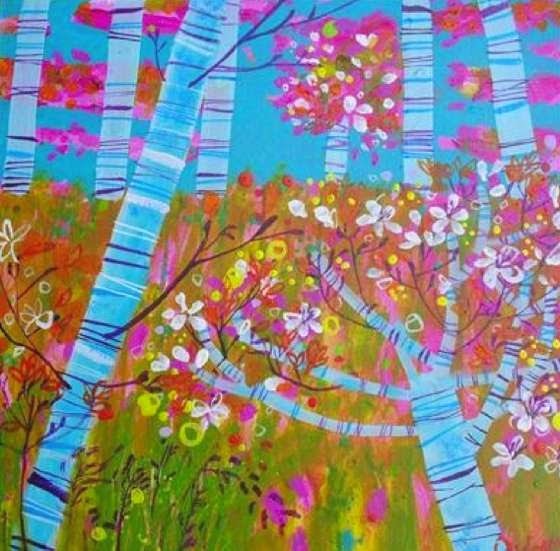 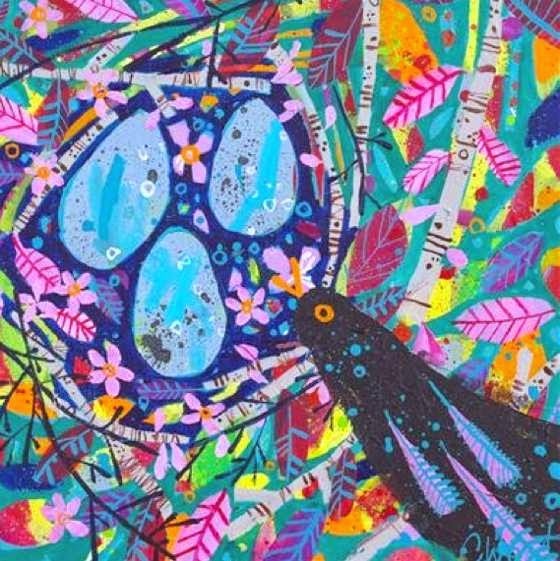 Her beautiful paintings are vibrant, with bright colors and rich textures and patterns, always inspired by natural elements and animals.